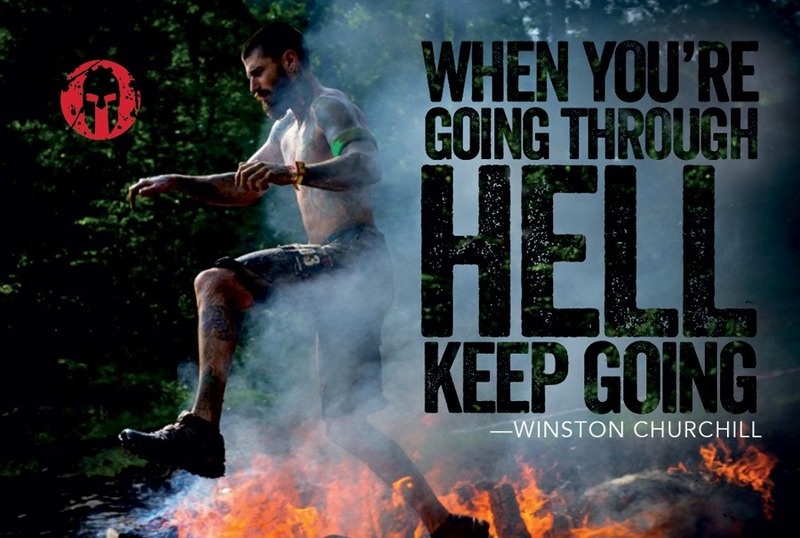 So many tough athletes out there who can’t wait to get into the next Spartan Race! Let’s start somebody’s holiday weekend off with a bang by giving them a free entry to the Spartan Race of their choosing! The winner is #9, Andrey Menshov! No catch, Andrey, just email me at amanda@tootallfritz.com and I’ll give you a code for a free entry! Have fun at Lake Tahoe at the Ultra Beast! For the rest of us, there is a Memorial Day special going on now thru 6/1 that saves up to $40 on race registrations. Use code: MEMORIAL and register HERE. If you miss the 6/1 registration deadline, you can use the code: SPARTANBLOGGER at any time to get 10% off any race. There is also a new booking coming out for Spartan lovers & fitness fanatics alike. 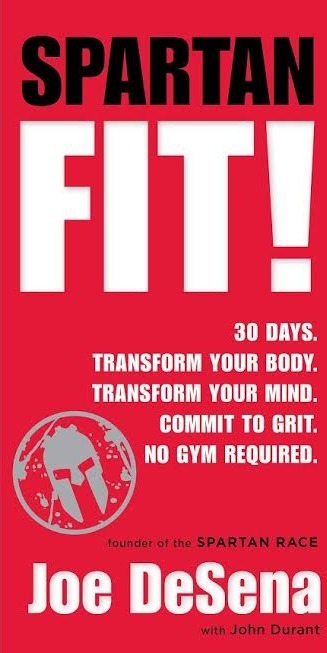 Its Spartan Fit by Joe DeSena. If you need a little inspiration, feel free to pre-order HERE. I read his last book Spartan UP and it was great, filled with lots of tips and inspirational quotes. It looks like he is taking it to the next level this time with a 30 day plan to transform your body. I’ll let you know what I think but the cover is below in case you spot it in the store or want to put your name on the pre-order list. Nothing says badass like the Spartan Races. 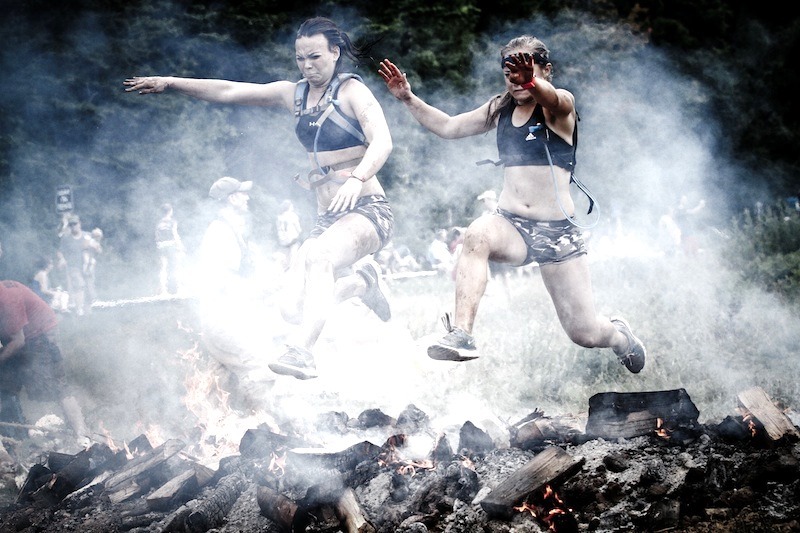 The Spartan Races are a spectacular series of events which will bring out the beast in all of us whether you’re looking to invoke your inner toughie or prove once again that you are strong, fit & brave. There are three main types of Spartan Races. For beginners we recommend the Sprint. Spartan’s shortest courses are 3+ miles and 20+ obstacles. Complete the race at your own pace. If you fail an obstacle along the way, you owe us 30 burpees before continuing on. Ready for more? 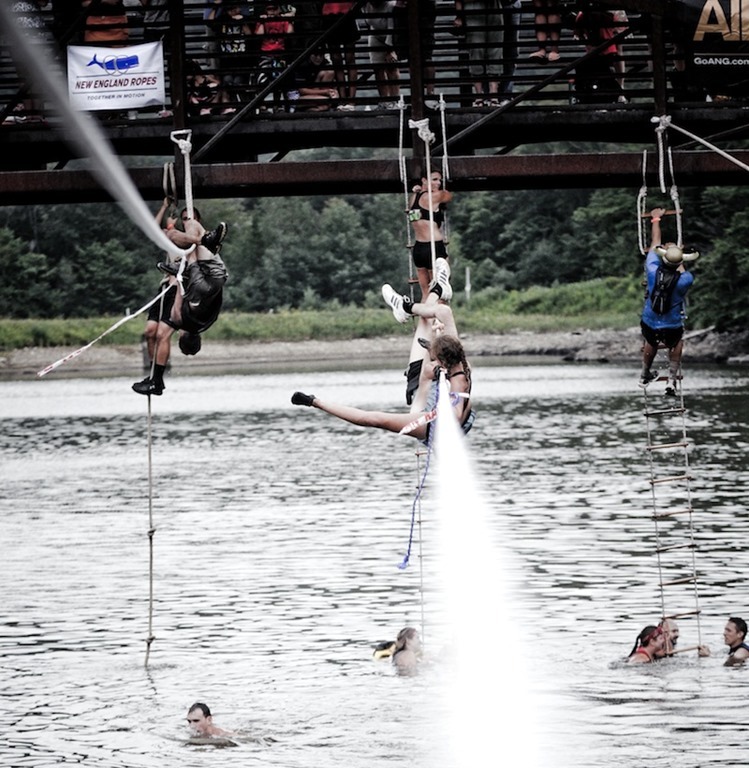 The Super is 8+ miles, 24+ obstacles, and often hosted on a tougher terrain. The hardest of the three races is the Beast: 12+ miles and 30+ obstacles. We’ll leave the challenges of the course to your imagination. For those who dare: check out our Ultra Beast, Hurricane Heat, Hurricane Heat 12 Hour and Agoge endurance races. They also offer kids races and various events across the country. No matter where you live, there is most likely a Spartan Race near you! Put in your zip code on the race finder & a map with pop up with your recommended location. The closest races to me are the Chicago Super & Sprint weekend on June 11th and the Indiana Sprint on July 9th. Which race is in your backyard? Look HERE. I have one free entry to give away to the Spartan Race of your choosing. In order to be entered in the giveaway, please make a comment below and tell me which race you would choose if you win the free entry. Easy right? Giveaway runs from now until next Friday, May 27th at 11am EST. 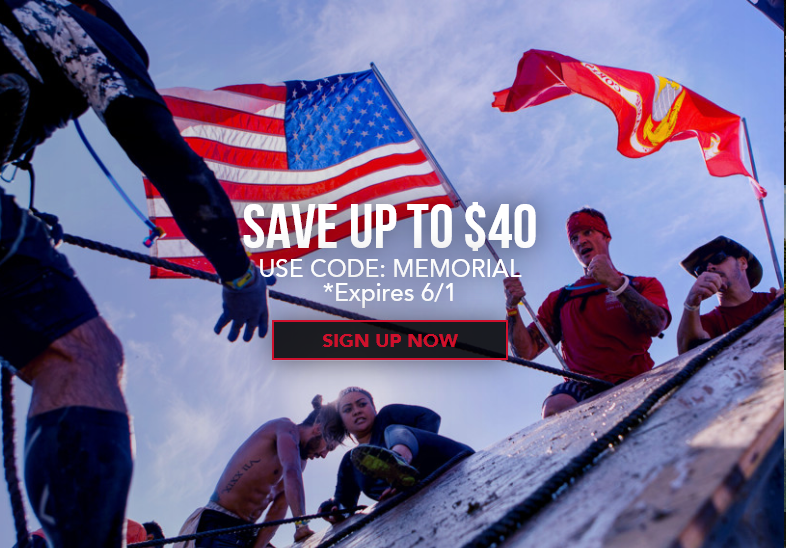 I want to send someone into the upcoming Memorial Day weekend with a FREE ENTRY to a Spartan Race. Good luck! For those of us who can’t wait and want to register now, I have a 10% off discount code: SPARTANBLOGGER. Feel free to use that code any time and register HERE by finding the race of your choosing. Winner of the Spartan Race Giveaway! Lots of interest in the Spartan Race(s)! I love how they have brought another dimension to running, racing and fitness events in general. Thank you, Spartan Races!!! 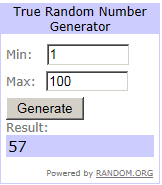 The winner of this giveaway was selected by a random number generator. Who was randomly picked? #57 – Christina VanDerWerff!! Christina please email me at amanda@tootallfritz.com with your Twitter handle so that I can verify that you follow me on Twitter. That was your winner entry! 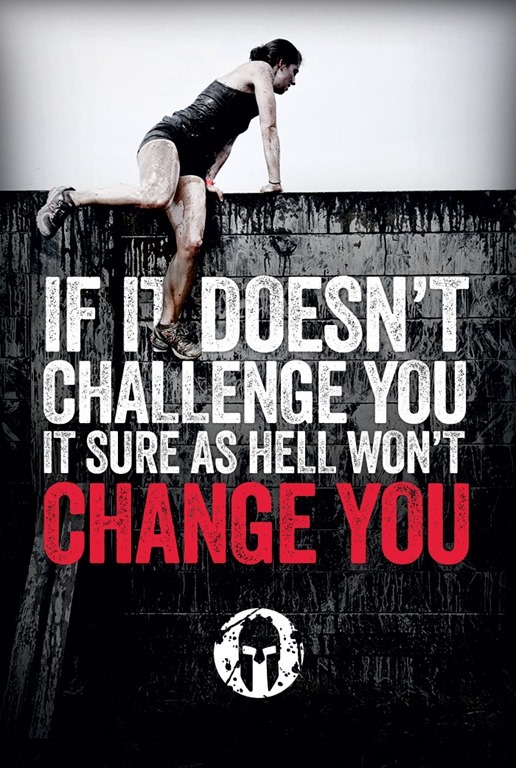 Then we’ll get you set up with a FREE Spartan Race!! WhoooHoooo!! Congrats! For the rest of us, we can register for any Spartan Race HERE. I strongly encourage everyone to start planning for 2016 so that you have something to work toward and a reason to get off the couch this winter! It’s a huge incentive knowing that there is a big race looming on the calendar as soon as the snow melts. Trust me on this one. Feel free to enter my giveaway for the 2016 Cincinnati Flying Pig Marathon or Half HERE. Drawing for the Flying Pig entry will be next WED (12/16/15). 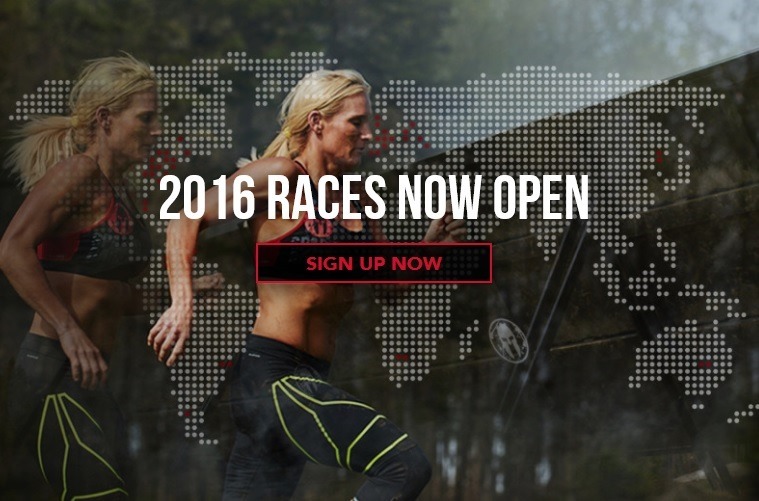 Spartan Race FREE Entry Giveaway! As 2015 is coming to a close I think most of us are looking back at our year and trying to decide on a bit of direction for 2016. Some of us may be tired of training. Some of us may be looking for a new direction. Others have just moved into beast mode. How about you? Where would you like to go in 2016? Need a new challenge? How would YOU like to become a Spartan? World’s Best Obstacle Race. Period. Born in the scenic hills of Vermont, Spartan Race was created to bring the excitement of obstacle racing to spectators and athletes alike. That means you. Spartan Race is a true adventure that anyone can do, and everyone should try. With course lengths of 3+miles (Sprint), 8+miles, (Super) and 12+miles (Beast) each course is filled with mud, water, and signature obstacles designed to help you discover your inner Spartan. Athletes of all fitness levels will enjoy participating in a Spartan Race and the feeling of accomplishment that comes at the finish line. Spartan Race even has events for kids. We believe that fitness and adventure should involve the whole family. Come out and watch your kids run, jump, and climb like children were meant to do all in their own Spartan Kids race. For those that want a more team based experience Spartan Race has the Hurricane Heat and for the truly adventurous the Hurricane Heat 12 Hour. The Hurricane Heat takes you out of the individual role and has you work with a group of complete strangers to complete tasks designed to bring you together as a team. So if you are starting to load your calendar for 2016, I recommend trying something different. Something fun. Something to force you to work on both strength & endurance. Something that will move you beyond your comfort zone. Something that will challenge you. If you are interested in being entered into the drawing for the FREE ENTRY to a Spartan Race of your choosing, please comment below (one point). If you REALLY want to win, then you can get additional entries by jumping thru a few hoops (listed below). Just let me know in the comments what actions you preformed so I can allot you the proper amount of entries. Total of 7 entries available for this giveaway. Let me know in the comments what to credit you. Note: it’s a freebie if you already follow me or Spartan Races on any of our social media channels. Giveaway goes from now until December 9, 2015 at noon CST. Good luck!! It’s Friday! What’s better than getting ready for all those awesome weekend workouts? Winning a FREE race entry to any Spartan Race of your choosing! Let’s give these winter workouts a purpose and sign up for something fun & challenging! Without further ado, the random number generator selected #3. #3 is Joe Beier! Congrats Joe! Email me at amanda@tootallfritz.com to get your free race entry! I know a lot of new people came forward for this giveaway. I do quite a few fun things that result in distributing free fitness items and race entries. I’d love for you to win something, so please follow along on a regular basis by clicking the “follow” button or by adding your email address to the box on the right side of the screen. You can follow via Facebook HERE, Twitter HERE, or Instagram HERE. It will be worth it; I promise! You may not have won the free entry but I’m sure you are ready to take the plunge, commit and register for a Spartan Race now, right? We have a 10% off code which is good for any Spartan Race in the country. Go HERE to pick your race and use the code: SPARTANBLOGGER to get 10% off the event of your choosing! Have a great weekend! Come back on Monday for the workout shout on my Facebook page HERE and let me know how you totally KILLED your workouts! Each year the Obstacle Course Race (OCR) events become more popular and more diverse. I’m happy to admit that there are “adventure” type races for all ability levels. My girlfriend’s mom has even done one and she is in her late 60s! I love that fitness is finally saturating our communities! The Reebok Spartan Race is one such OCR and it delivers an amazing experience each and every time, in locations all across the US. As OCRs diversify, the Spartan Race now offers events for kids and teams! They are also one of the few OCRs which boost venues in various locations throughout the US. This makes it so much easier for YOU to convince your friends to join you in an epic SPARTAN journey! Who’s going to be a Spartan in 2015? The addition of races of varied difficulty have made this series one for the beginner as well as the serious athlete. Go have fun with your friends or qualify for one of the elite heats and try for the win! Regardless of your skill level, there is an event for you. It will be challenging but also FUN! Who wants to race a Reebok Spartan event for FREE? This giveaway is good for any Spartan Race in the United States. If you are in the Midwest, the upcoming races are listed below. In order to be entered in the drawing for a free entry, please comment below and tell us if you have ever participated in an OCR event and if so, which one? I will select one winner via a random number generator on Friday, January 23, 2015. Giveaway starts NOW!!! If you would like to register now, we have a 10% off code which is good for any Spartan Race. Go HERE to pick your race and use the code: SPARTANBLOGGER to get 10% off the event of your choosing! Hey, all! Thanks for entering the Spartan Race giveaway!! We have one FREE race registration to give away to any Spartan Race in the US. Without further ado, the random number generator selected #5. #5 is Drew!! Congrats, Drew!! Drew – please email me at amanda@tootallfritz.com to claim your FREE Spartan Race entry! For the rest of us, we have been offered a 15% off discount code to ANY Spartan Race by following this link HERE. Enjoy! GIVEAWAY For ANY 2014 Spartan Race! As more and more obstacle course races (OCRs) are popping up throughout the country there are certainly a few that have managed to stand out among the crowd and create an amazing reputation for themselves. The Spartan Race is one such OCR which delivers an amazing experience each and every time, regardless of the location. Spartan Race is on a mission to get you active, healthy, excited about change, and return to our ancient roots where running through woods, getting dirty, and facing adversity was part of everyday life. Our events are all about challenging today’s perception of normal. Having experienced many different racing events, we wanted to make adventure racing more accessible to everyone, but do not be fooled by the word ‘accessible’, as our events have a challenge for everyone’s needs. 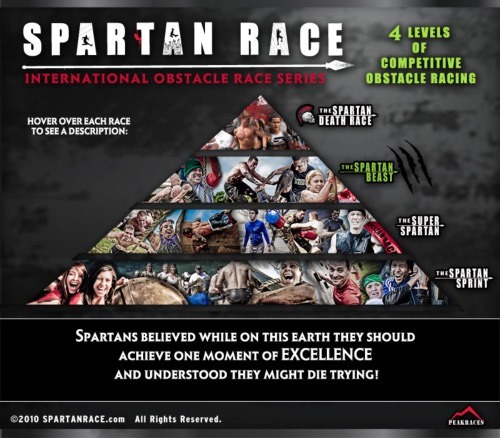 Spartan Race now introduces a level for everyone beginning with the entry level Spartan Sprint, intermediate level Super Spartan, the advanced Spartan Beast, and the ‘99.9% need not apply’ extreme level Death Race. With venues in various locations throughout the US, the Spartan Race is becoming more popular each year. The addition of races of varied difficulty have made this series one for the beginner as well as the serious athlete. Go have fun with your friends or qualify for one of the elite heats and try for the win! Regardless of your skill level, there is an event for you. And it just looks fun! Photos below from the Spartan Photo Gallery. Afterward, sit, relax, listen to the live music and eat some real food! Now the good stuff! Let’s give a race entry away!! The giveaway is good for any Spartan Race in the United States. If you are in the Midwest, there is one in Indiana this month (April 26th), one in IL – Chicagoland – on 9/26 and one in Wisconsin on 11/1. Lots of options!! To be eligible for the giveaway you must make a comment below and tell me which race you would pick: 1) Spartan Sprint – 3+ miles/15+ Obstacles, 2) Super Spartan – 8+ miles/20+ Obstacles or 3) Spartan Beast – 12+ miles/25+ Obstacles! I will select one winner via a random number generator on Wednesday, April 16, 2014. Giveaway starts NOW!!! If you want to register now, we have a 15% off code which is good for any Spartan Race. Go HERE to activate the 15% off code and register for the event of your choosing! Obstacles races and mud runs are currently all the rage and I have one entry to give away for the Corn Fed Crucible race on September 13th in Monterey, Indiana! 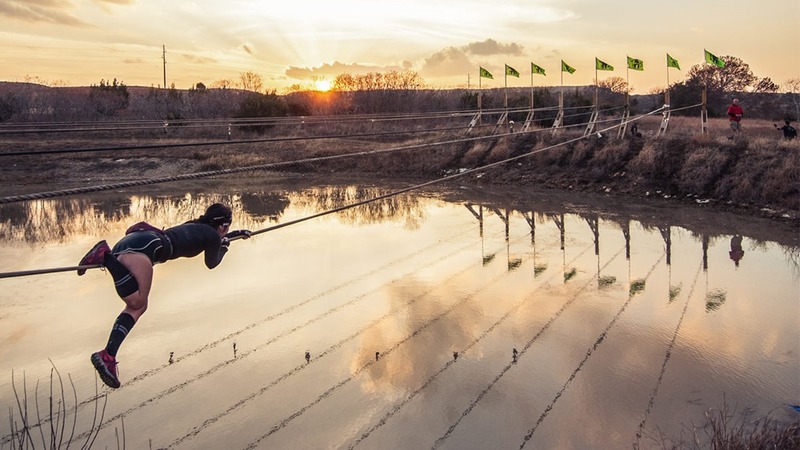 This new OCR event promises to be fun & challenging. It offers prize $$ for those who are fast and strong and running to win. It offers two levels for each obstacle so that beginner and experienced participants alike will both be challenged without being overwhelmed. This sounds like an AMAZING event with an AMAZING after party which will go ALL DAY LONG. Plus it’s a Corn Fed Spartans race so you know it will be worth the trip. 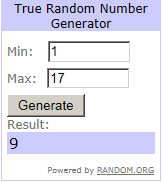 Without further ado, the random number generator selected lucky #1! This is certainly the case where the early bird got the worm. So who was the very FIRST person to comment??? Looks to be Lynn S.! Congrats, Lynn! Please send me an email (amanda@tootallfritz.com) so that I can get you hooked up with the free entry! Congrats and take lots of pics for us!! As for the rest of us, we can all go HERE to register for the Corn Fed Crucible Obstacle Course and Mud Run. See you there!